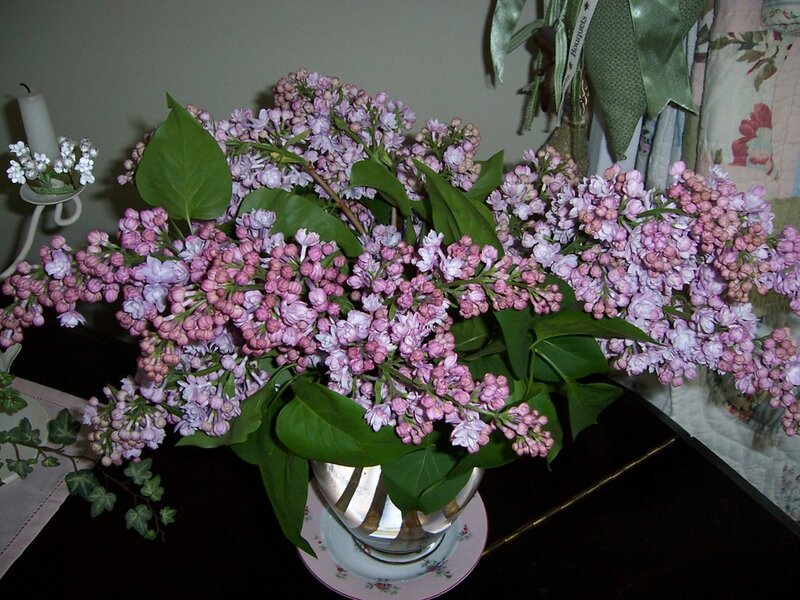 Dream, Create, Inspire: It's Lilac TIme! 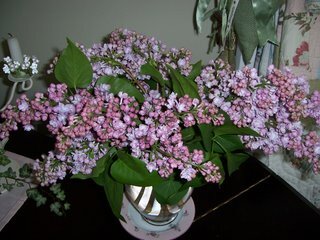 Don'y you just love the look of lilacs? I do! The scent is absolutely heavenly and the colors so exquisite, as if handpainted by Mother Nature herself. They are my favorite flower, after pink roses that is. Anyway, I thought I would share this freshly picked bouquet from my garden. I went shopping today which always puts a huge dent in my pocketbook. But who can resist a new product when it comes to this wonderful passion of our? One of the items I discovered is this great new tool. It's called the Crop-A-Dile by We R Memory Keepers. I had seen it advertised in magazines, but never imagined that it would be as fabulous as it actually is. I tried it out today and it is truly as great as the manufacturer says it is. It's a combination hole punch and eyelet setter. The hole punch actually can cut through chipboard as if it was butter! That's all it took for me to say, "I need that!" It also sets eyelets with the same ease and absolutely silently. 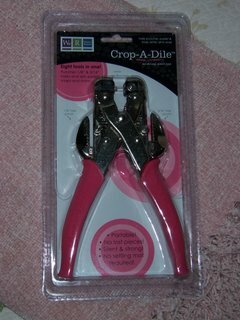 It is an all-in-one tool which eliminates the need for hammer, hole punch, eyelet setter, setting mat, etc. 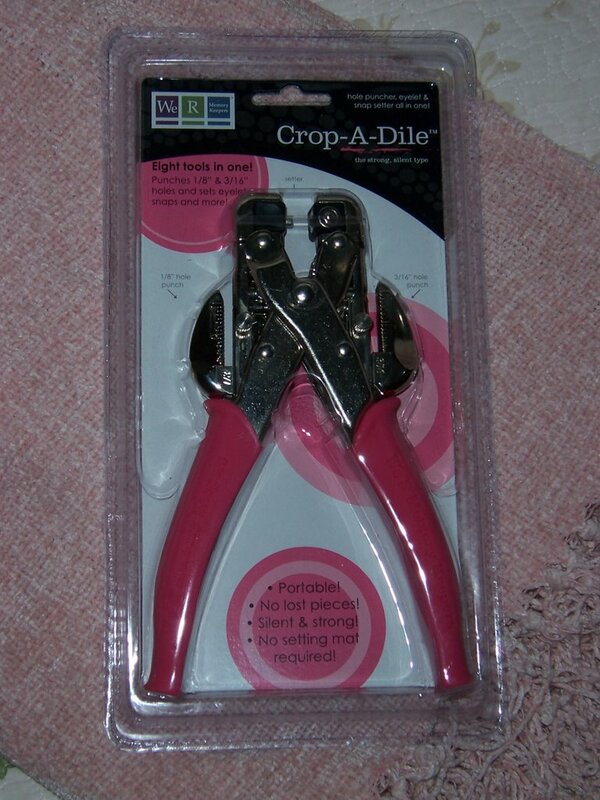 And to make it even more perfect, it has a pink handle! I think I'll be adding eyelets to everything I can get my hands on for a while. 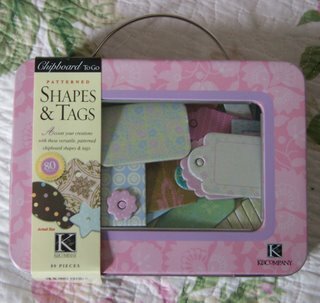 Another item that I couldn't resist was K and Company's set of Shapes and Tags. 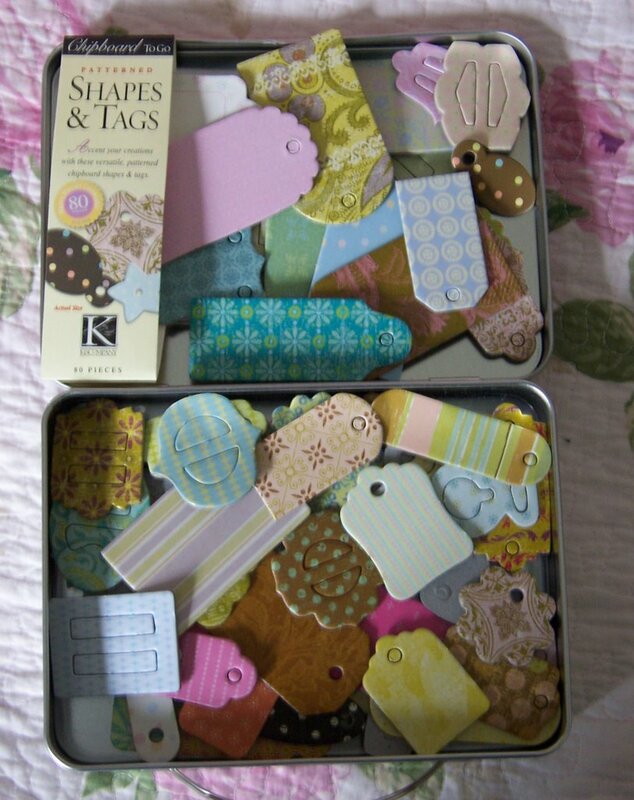 They come packaged in this cute little lunchbox container which holds quite a large selection of chipboard tags, ribbon slides, and shapes. One side of the tag is decorated with typical K and Company designs and the opposite side is plain chipboard, ready to be decorated with your own paper, paint, photos, or whatever else you desire. 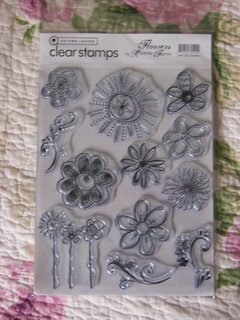 The last of my fabulous finds was this set of Clear Stamps from Autumn Leaves. This particular set is appropriately called "Flowers" and is designed by Rhonna Farrer. The set includes a collection of funky flowers and scrolls in pure Rhonna-Style. I love the clear stamps since they take up so much less storage space AND they are so easy to position on your work. (Note: Archiver's has them on sale this weekend for 20% off.) Well, I am off to play with my new toys now.....Ta-ta for now! !